Exam day is here, you studied all semester and now you are ready to take on that final challenge that can make or break your grade. Obviously, exam season is one of the most stressful times in a student’s life, so to help out we’ve put together some physical and mental strategies to help you get the best out of the big day. 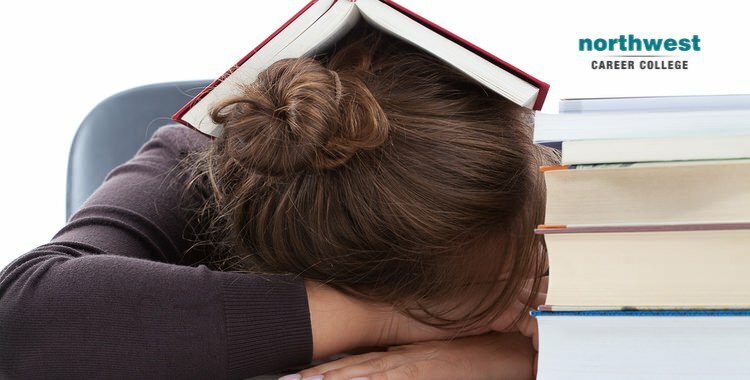 Sleep: While it might be tempting to forego sleep in order to cram in a few extra hours of studying, don’t give in to that temptation. All the studying in the world won’t matter if you are too tired to concentrate or remember anything on the day of your exam. Eight hours sleep the night before it the ideal start to your exams. Eat: Your body needs food for your brain to operate properly, and while being nervous does cut down on your appetite, you will need to overcome that in order to provide your body with the fuel it needs to get you through your exams. Don’t stock up on sugary snacks, too much sugar will make you jittery and you could potentially crash during your exams. Eat balanced meals and make sure you are taking in plenty of water. Avoid alcohol: Going for a swift drink to take the edge off the stress is a temptation during exam season but, just like staying up all night to cram, it is one that should be avoided. Alcohol prevents you from concentrating, sleeping properly and can even enhance anxiety. Stay for the entire exam: It might be tempting to leave as soon as you have finished your exam, but if you have extra time remaining, use it to go through your answers and proofread your work. Even relaxing in the exam hall and thinking over what you have written could bring details to mind that you missed. Use this time properly and it might get you a better mark. Read the exam questions carefully: One of the most common mistakes students commit in exams is not reading the questions properly. There is nothing worse than spending hours crafting the perfect answer only to realise that it is not what the question asked for. Take a little time at the beginning of the exam to read through the question repeatedly and make sure you are 100% sure of what is being asked of you. Budget your time: Check how much each question counts towards your final mark and spend time on each answer accordingly. Depending on how the exam goes, you might not have time to finish all the questions so it is best to concentrate on the ones that yield the best marks.